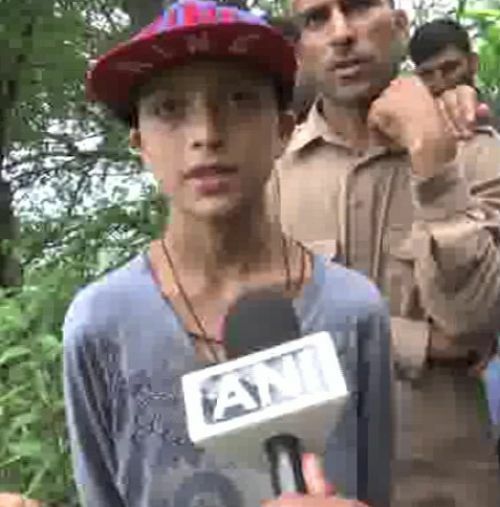 The son of constable Parvez Ahmed who lost his life in an encounter with terrorists in Batamaloo area yesterday say he wants to join the army and become an officer to avenge his father's death. His family says the government should make arrangements for his children and parents and provide a job to his brother. A policeman was killed while four security forces personnel were injured during an encounter with terrorists in the Batmaloo area, following which two ultras were arrested on Sunday, police said. Security forces launched a cordon and search operation at Diyarwani in Batamaloo area of Srinagar in the pre-dawn hours on Sunday following specific information about the presence of terrorists in the area, Additional Director General of Police (Security and Law and Order) Munir Khan told reporters. He said while the house, where the terrorists were hiding, was zeroed-in, the ultras opened firing upon the forces which was retaliated, resulting in an encounter. Constable,Parvaiz Ahmad was killed and two policemen and three Central Reserve Police Force personnel received injuries in the initial indiscriminate firing by the terrorists.